Before I get started with this story I want to let you know that those that are on the Autism Waiver Program in Wisconsin have social workers assigned to us to oversee how things are being handled with services. They are also there to support us and guide us when needed. Now this story is not about my son. This is about my friend’s son. My friend went to pick up her child from the place he was at, which is the special program he is in and noticed that he looked dehydrated. She asked when the last time he drank anything and they said an hour ago when he ate a popsicle. It was very hot that day. So the kids should have been drinking more then what they were. Her child was then hungry and started crying. The mother asked the lady if he could have some of his crackers. She went to get them and told him he needed to stop crying. He did stop crying then she said he had to ask nicely. He asked nicely. Then she wouldn’t give it to him which basically was teasing him and upsetting him as he did what he was told and then he didn’t get them. I can understand why this became a big issue. Well, the child then reacted and went to bite her. The lady slammed him up against the wall and then held him there. First off you don’t slam a child against a wall. Second of all, there are proper ways to restrain a child that provides deep pressure to them when this happens. This deep pressure then calms them. My friend was so horrified by this she grabbed her child and pulled him out of the program. She then tried to call the director of the program who will not return her calls. Her caseworker said she is going to petition the court to have her son taken away if she doesn’t put him back into the program. She has a meeting in a couple of weeks. First of all, I don’t think this social worker has any mind at all. If there is any abuse or things that are being handled wrong they are supposed to get involved to investigate this. It sounds like the social worker doesn’t even care that this happened. It really frustrates me because not all autistic children can tell you what they feel or exactly what they want and they lash out the only way they know how. Not to say the behavior that he did was right as it was not. I don’t feel that he deserved to be slammed against a way. That is just plain abuse to me. They have a meeting a week from Wednesday. I suggest she called the Disability Rights of Wisconsin, and I told her to see if this place has any violations against them. I also do think she could call the state and report it. It’s not right. I don’t feel that her child should get taken away because she wants to protect him. I think it’s very very unfair. It has me really really mad. I don’t remember at this point what else she told me as to what else happened but I know it wasn’t good. I told her to be prepared for this meeting the best she could. It just irritates me as I don’t feel this place knows how to handle children nor autistic children. 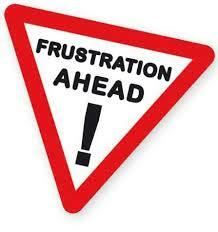 What type of frustrations do you deal with? I am Stacie a SAHM of three. I started blogging in May 2009. When I first started blogging I wanted to spread the news about autism awareness. I wanted a place where others could see inside my world and know what I go through on a day to day basis. Just giving a glimpse of understanding. I also wanted others who also had kids on the spectrum to not feel alone. Since then my blog has changed and I also started blogging out our adventures in homeschooling. That’s seriously a messed up story. Violence against any child is uncalled for. Someone working in a children’s program should know that, especially if it’s for special needs children. Maybe people aren’t comfortable with treating other people like animals. PLEASE tell her to contact a different agency/program for autistic children RIGHT AWAY (or go to their doctor for eval and cousel about what to do – get something in writing about this! Start accumulating official paperwork to show she is not “neglecting” her son) and get her son enrolled, or at least begin the enrollment process in a different program right away or they will take that child! They will at least probably take it to court. THEN GO TO THE NEWS or she will not be able to close this chapter in this disruption and violation of their lives. Regarding the child being slammed up against the wall, Wisconsin social services unwittingly supported abuse instead of confronting it, as is their stated purpose. We live in WI too. I hope this wasn’t in our city. She should go to the news. Take it to the level that will listen then. Being tired usually frustrates me the most.